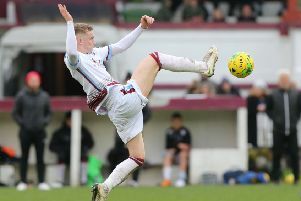 Bexhill United manager Ryan Light is targeting six wins from the football club’s final six matches this season as the race for promotion places enters the home straight. The Pirates are third in Southern Combination League Division One - five points behind leaders Alfold and second-placed Steyning Town. The champions will be promoted to the Premier Division and the runners-up may also go up (depending on points per game averages and complying with FA ground grading criteria). Light said: “It’s now laid out in front of us. We do still have to rely on a result elsewhere, but it’s not out of the realms of possibility that Steyning could pick up a draw because they’ve got some tough fixtures. “Alfold on paper have got the more straightforward run-in because they don’t meet any of the top five. Steyning versus Varndeanians is a big game this Saturday. Bexhill are the division’s leading scorers with 78 goals in 26 league games and their +55 goal difference is also the best of anybody in the division. 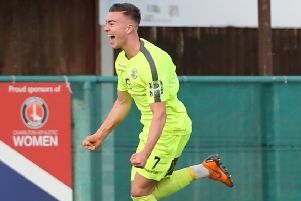 After playing just twice since February 9 due to a stop-start fixture schedule, the games will now come more regularly for Bexhill over the coming five weeks. Light is hoping the lack of recent activity won’t knock Bexhill out of their stride and they contested a friendly against Division Two neighbours Westfield on Tuesday night to get some more minutes into the players’ legs. Drew Greenall sat the game out to rest his Achilles, which he has been feeling slightly of late, but should be back for the league match away to eighth-placed Wick today (Saturday). Nathan Lopez isn’t expected to be fit, however, after dislocating his knee in the friendly. “Last year Wick away was probably up there with our best wins and performances of the season,” Light went on. We’re looking forward to going back there. Five of Bexhill’s remaining matches are away from home, but they’ve picked up 24 points from a possible 33 on their travels so far, scoring 37 goals and conceding just eight. Remaining fixtures - Bexhill United: March 23 Wick (a), March 30 Littlehampton Town (h), April 6 Midhurst & Easebourne (a), April 20 Steyning Town (a), April 22 Hailsham Town (a), April 27 Mile Oak (a). Alfold: March 23 Mile Oak (h), March 30 Southwick (a), April 6 Sidlesham (h), April 20 Seaford Town (a), April 22 Billingshurst (h), April 27 Storrington (a). Steyning Town: March 23 AFC Varndeanians (h), March 30 Hailsham Town (a), April 6 Southwick (h), April 20 Bexhill United (h), April 22 Worthing United (a), April 27 Littlehampton Town (a). Southern Combination League Division One top half standings (played-points): 1 Alfold 26-64 (+46 goal difference), 2 Steyning Town 26-64 (+43), 3 BEXHILL UNITED 26-59 (+55), 4 AFC Varndeanians 25-52 (+30), 5 Selsey 27-51 (+27), 6 Hailsham Town 27-39 (+8), 7 Littlehampton Town 26-38 (+3), 8 Wick 26-36 (-7), 9 Seaford Town 26-33 (-7).